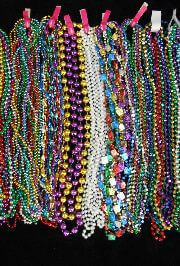 Mardi Gras Beads Galore! 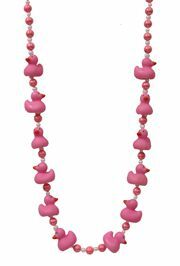 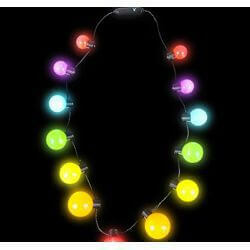 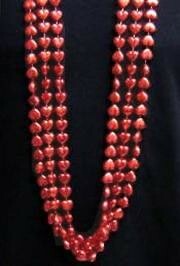 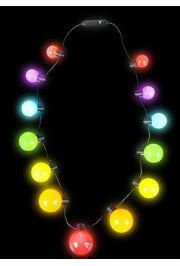 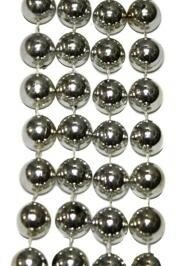 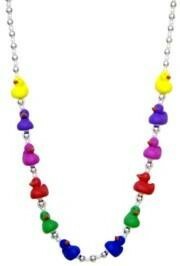 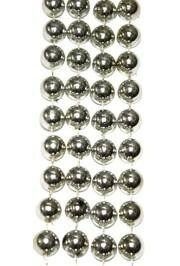 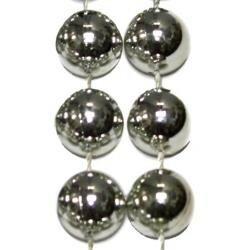 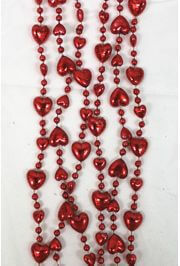 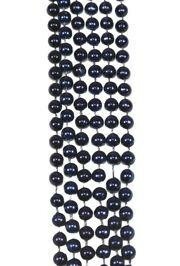 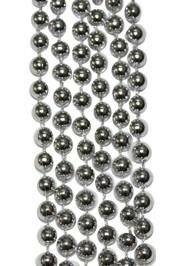 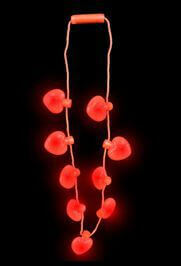 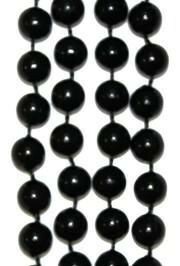 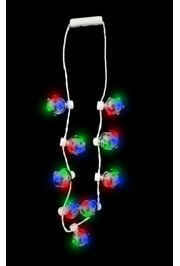 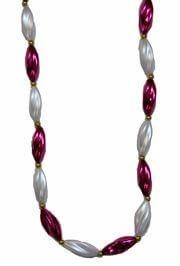 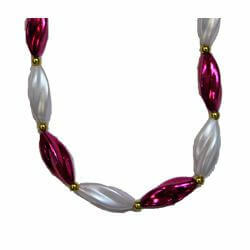 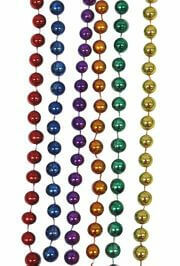 Beads for All Holiday Parades & Parties! 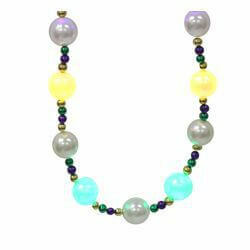 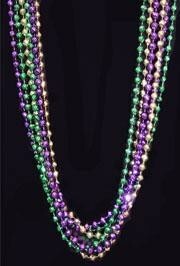 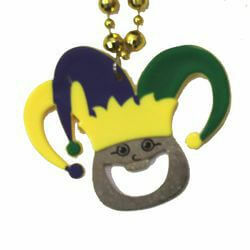 Mardi Gras Beads Are Simply Our Specialty! 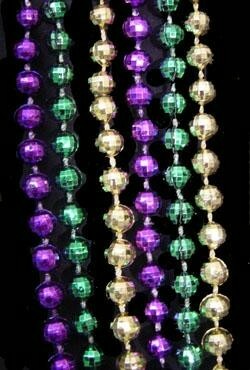 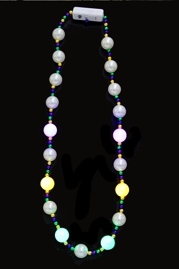 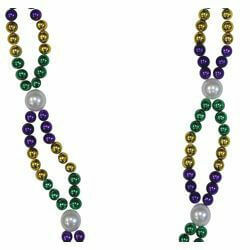 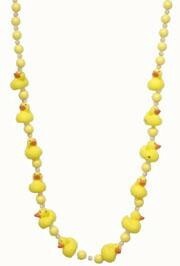 Shop from our huge selection of Mardi Gras beads, themed Mardi Gras bead necklaces, customizable Mardi Gras bead medallions, and Mardi Gras bead throws for any event. 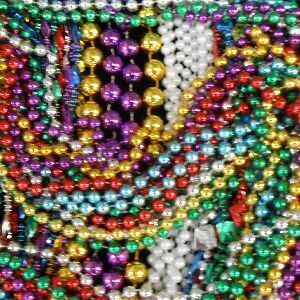 Traditional Mardi Gras bead colors are purple, green, and gold, but many krewes prefer their own colors and so we offer Mardi Gras beads in a rainbow of colors and styles, including: red, white, blue, black, pink, and orange mardi gras beads, just to name few. 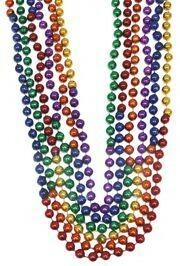 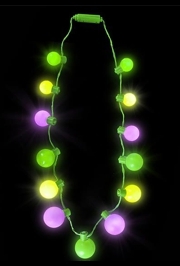 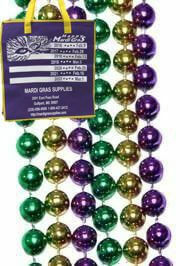 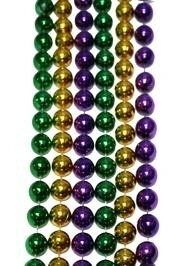 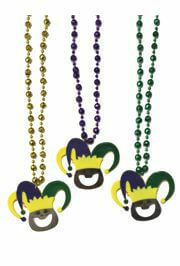 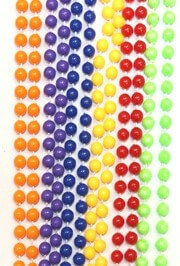 Save even more on Mardi Gras Beads when you buy in bulk! 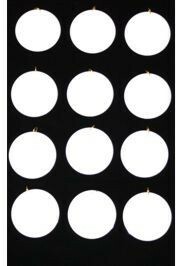 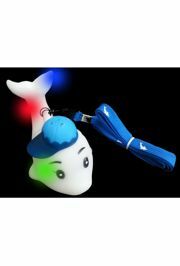 |< << 1 2 3 4 5 6 7 8 9 10 ... >> >| Displaying 1 to 20 of 353 Items Found. 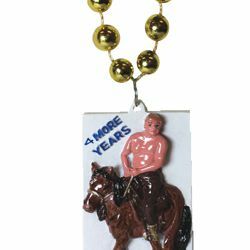 The medallion depicts President Trump and reads "4 More Years". 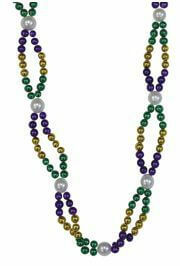 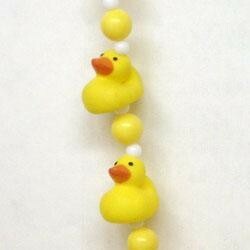 Great beads for Republican campaigning. 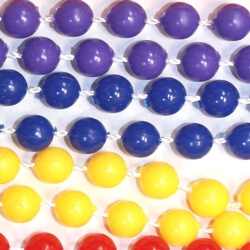 Mix includes 14 Dozen total. 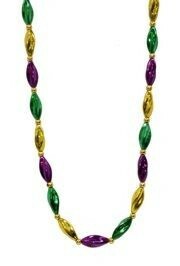 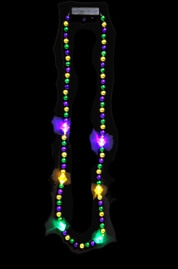 Mardi Gras parades are full of colors but three colors, Purple, Green, and Gold are the main. 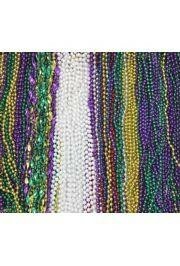 By tradition, they represent Justice, Faith, and Power. 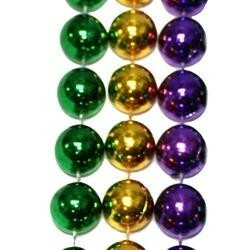 Some Mardi Gras krewes add their own team colors to the Carnival parade float decor. 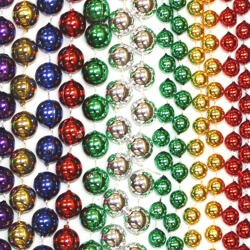 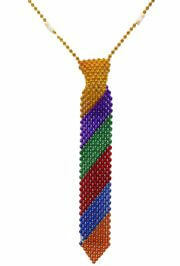 We see our mission to provide the best beads and Deco Mesh Ribbon in dozens of colors and patterns to all krewes. 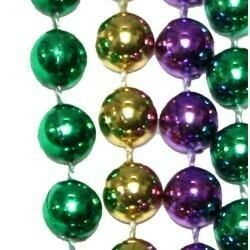 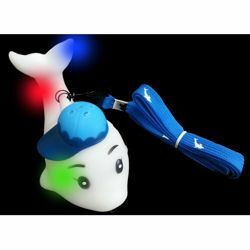 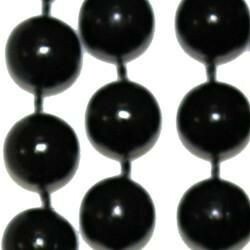 Our inexpensive plastic beads are popular not only on Fat Tuesday but on any holiday, from Christmas and New Year to St. Patrick's Day and to Independence Day and Halloween. 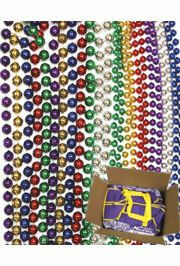 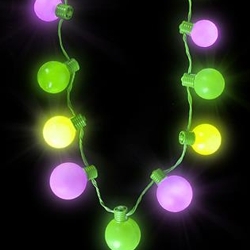 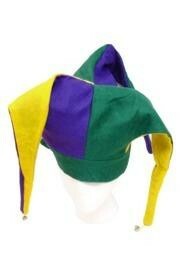 Mardi Gras Supplies is your One-Stop Shop for all your Party Supply Needs.